Should I Claim 0 or 1 on my W4 Allowances Taxes? Have you asked yourself the following question? Should I claim 0 or 1 or even 2 on my W4? Keep on reading to find out what you should claim. One of the first things you do when you start a new job is to fill out your W-4. What is a W-4 form anyways? Formally known as the Employee Withholding Allowance Certificate, a W-4 tells your employer how many allowances you’re claiming which determines how much federal income tax they need to deduct from your pay. The more allowances you claim, the more money you’ll get each paycheck but, in return, you’ll receive a lower tax refund, if any, at the end of the year. The number you claim affects your take-home pay and your tax refund so it’s important not to write down just any number but to assess your situation and make a smart financial decision. How many allowances can I claim? How many allowances you can claim is determined by your filing status, how many – if any – dependents you have, and how many jobs you have. But keep in mind, that you don’t have to claim all the allowances you’re entitled to. In fact, depending on your situation, it might be in your best interest to claim 0, 1 or more than 1. Claiming zero allowances means that the maximum amount of taxes will be withheld from your paycheck. This means that come tax season, you’ll most likely get a nice big tax refund. When should you claim 0 allowances? There are only a few situations where I would recommend you claim zero allowances on your W-4 form. If someone is claiming you as a dependent. When someone claims you as a dependent, they get the benefit of your personal exemption. Which means their tax burden will be lowered, but yours will be a little higher which is why you should claim zero allowances. This doesn’t necessarily mean you won’t get a tax refund, however. If you know you’re bad at saving and want to save on easy mode. Despite what some people may believe, your tax refund isn’t “free money”. Getting a tax refund means you’re overpaying on your taxes every paycheck and at the end of the tax year, the IRS returns the extra money you paid. This means you can easily “trick” yourself into saving money by claiming 0 allowances and then have the IRS e-deposit your tax refund into a savings account. Of course, this is not ideal, because you’re not earning interest on that money for that whole year. But it’s a great way to force yourself to save. Claiming 1 allowance means that a little less tax will be withheld from your paycheck than if you claimed 0 allowances. Here’s when I would recommend you claim one allowance. If you’re filing status is single this is the safe choice. If you’re single and barring any complicated tax situations, you’ll most likely still receive a refund. Though it will be smaller than if you claim zero allowances. This is the most common number of allowances single people claim. You probably know the drill by now. Claiming two allowances means even less tax will be withheld from every paycheck. If you’re filing status is single and you want to get as close as possible to break-even as possible (getting a $0 tax refund). However, depending on your tax situation, you may end up owing a little bit. If your financial health is good, this is the number of tax allowances I recommend that you claim. If you have two jobs and your filing status is single, you’ll end up filling out a W-4 for each job. You can claim 1 allowance on each W-4 OR you can claim 2 allowances on one W-4 and 0 on the other. If you’re married with no kids. If you file jointly, you can claim two allowances. One for you and one for your spouse. Not sure if you should file jointly or file separately? Here’s a good primer by TurboTax. Can I claim 99 allowances? You technically can claim 99 allowances BUT you definitely shouldn’t. According to the IRS, 10 million people underpaid their taxes in 2015 and ended up having to pay a hefty fine. 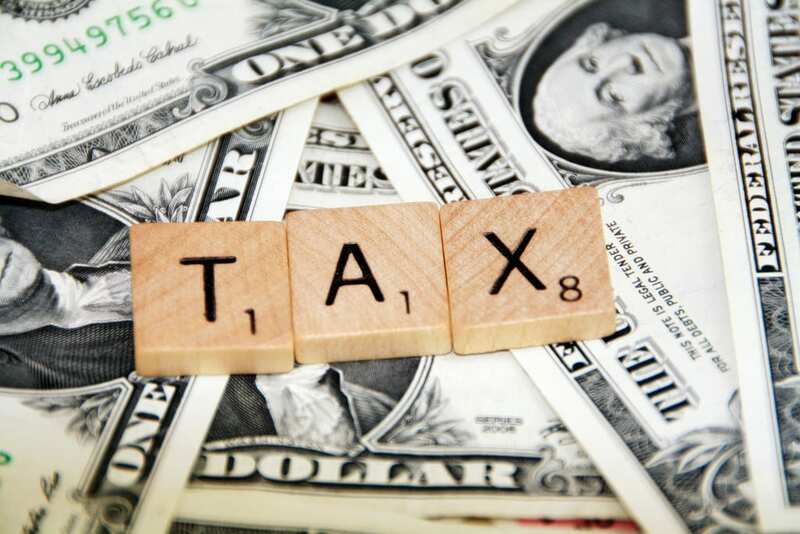 Income tax is a pay-as-you-go tax which means you can’t wait until the end of the year to pay all your taxes as a lump sum. You have to either withhold enough tax from each paycheck or make quarterly estimated tax payments. Withholding your taxes by filling out a W-4 form with the correct amount of allowances is the easiest way to avoid underpaying. So should I claim 0 or 1 allowance? As I mentioned earlier in this article, depending on your specific situation, it may be beneficial to not claim as many allowances as you’re entitled to. The more allowances you claim, the less tax is withheld. This is a good situation to be in if you’re in good financial health – as long as you don’t end up owing too much tax. But, if you’re living paycheck to paycheck and don’t have any kind of emergency fund, then claiming fewer allowances than you’re entitled to may be a good option. This means you’ll be receiving less each paycheck but at the end of the year, you’ll receive all the extra money that was withheld as a lump sum. You can use your tax refund to build up your emergency fund or to pay off any consumer debt. You’re basically forcing yourself to save money from each paycheck. Just don’t treat your tax refund as a “bonus”. You have to decide for yourself whether you want to “fool” yourself into savings or not by claiming extra allowances. Can I change my W-4 allowance? You can change the number of allowances you claim at any time. Just fill out a new W-4 and give it your employer. There are some life events that happen which change the number of allowances you should claim. Getting married and having a kid are the two most common of these life events. I hope I answered your question of: should I claim 0 or 1 on my W-4? Still unsure about how many allowances you are entitled to? 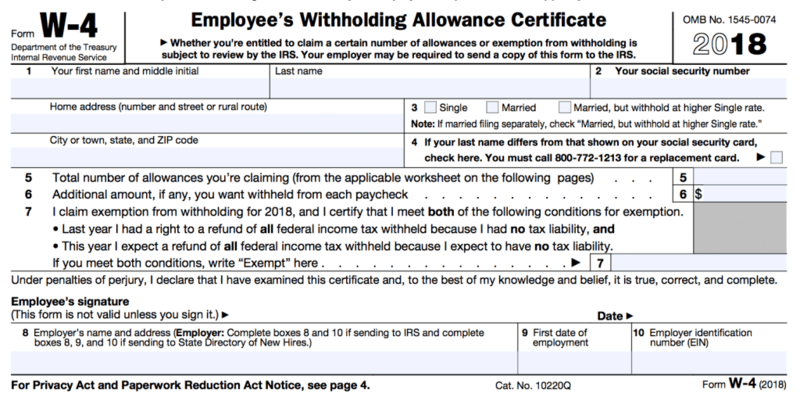 One of the best tools to use to figure out how many W-4 allowances you should claim is the IRS Withholding Calculator. You should also check out IRS Publication 505. It’s the official instructions from the IRS to determine your allowances and estimating your taxes. TurboTax also has a great suite of tax tools which can help you with a variety of tasks including calculating how many allowances you can claim. Doing Your Own Taxes This Year and Made Less than $66,000 in 2018? Here’s how you can file your federal AND state taxes online completely free! How many allowances do you claim? Are you planning on changing the amount soon? Hi. What are the Percentages, of claiming 0 or Claiming 1 ?